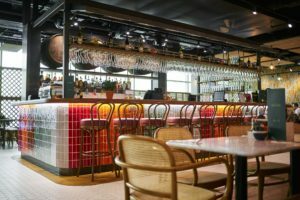 London Gatwick Airport has launched its biggest new restaurant in two years, with the opening of Sonoma – an original table-service brand devised by TRG Concessions and the founder of Giraffe Restaurants, Russel Joffe. Sonoma is inspired by the culture of California – where its namesake, the famous Sonoma Valley wine region, is located. The 600m² (6,460ft²) restaurant, which serves 300 covers, features a relaxed, family-friendly atmosphere and classic West Coast cuisine. Dishes on offer include the pinot noir club sandwich with shredded rotisserie chicken, smashed avocado, baby gem lettuce, apple slaw and lemon aioli; a salmon sushi rice and black sesame bowl; and the Sonoma BBQ pork ribs rack with apple ‘slaw and house fries. A separate food-conscious menu offers plant-based options such as Keralan curry and a beetroot and quinoa burger. Furthermore, Sonoma’s wide range of pizzas are cooked in less than three minutes in its large open pizza oven. 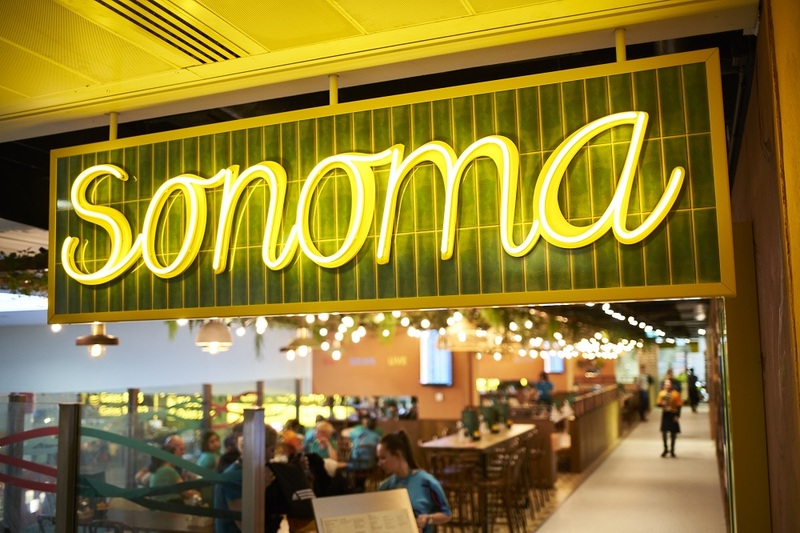 Situated in Gatwick’s North Terminal departure lounge, Sonoma occupies the units which were previously held by Garfunkel’s and Armadillo. Rachel Bulford, head of retail, Gatwick Airport, said, “Our North Terminal is currently going through a significant period of transition, and the opening of Sonoma is an exciting milestone in that development. It’s been great working with TRG and Russel on bringing this innovative restaurant concept to life.